Two nights ago, the Royal Festival Hall went dark when its solo pianist called in sick. Angela Hewitt is made of tougher stuff. Last night in Oxford, we hear, the Canadian pianist fell down a flight of steps within two hours of start time. One ankle was twisted so badly she couldn’t stand on it. 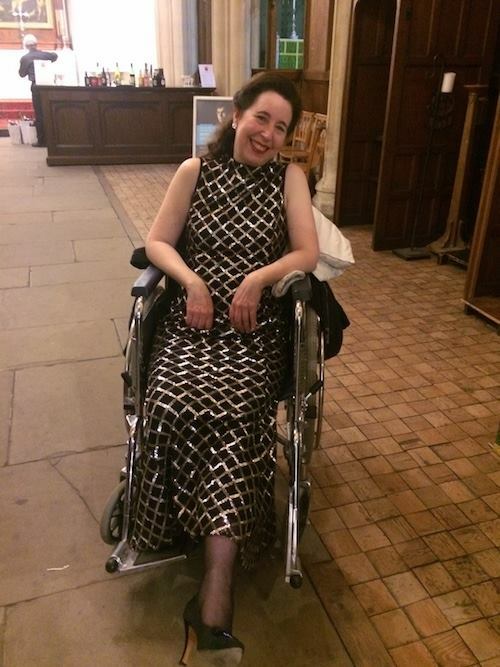 Ms Hewitt was brought onto the stage in a wheelchair and performed Bach’s Book I of the Well-Tempered Clavier using just one foot on the pedals. Tomorrow she’s playing Wigmore Hall. Mr Lebrecht, Angela Hewitt deserves lots of respect for her professionalism, but you are unfair to Paul Lewis. He’s had his moments with gulls, but overall does he have a track record of frequent cancellations? A twisted ankle does not necessarily interfere with concentration, while sickness easily can. On can sometimes prolong sickness by not treating it properly or simply by not resting. Unless it remains extremely painful afterwards, and especially when you have to manipulate the pedals on a piano!! Why is it special that she’s going to play a Fazioli? Just curious. Certainly the Fazioli is one of the most expensive pianos on the market, but as with most other high-end piano brands (other than Steinway), a Fazioli requires exceptional technical control in order to mine the tonal resources from the instrument. Which begs the question as to why Ms. Hewitt favors the Fazioli, as (at least for her Bach recitals) she consistently produces a blunt, flat, monotonous sound. She makes it work well enough, but she seems unwilling to exploit the resources of these pianos – or perhaps her conception of this music prevents her from doing so. In 2003 another Canadian, Louis Lortie, made his Carnegie Hall debut substituting for Maurizio Pollini. Chopin Etudes on a Fazioli. He entered on crutches, right leg in a brace. Skiing accident. Worked the pedal with his left foot. All went well. Rather extraordinary. What does he do when both pedals (Sostenuto AND Damper – not to mention the Una Corda – are required? [My last Teach (80 years ago!) had me use *all three at once* in a certain composition. I forwarded this bit to the CBC who then did this today on the CBC. How did they know? Does someone at CBC read Slippeddisc?